Former Buffalo Bills NFL player Darius A. Robinson will read Shop, Shop, Shop to a group of Clayton County elementary school children in Atlanta, Georgia on Sept 28th. The book reading is part an 18-month nationwide tour by author of Shop, Shop, Shop and founder of My Little Banker, Raeshal Solomon. Shop, Shop, Shop is a colorful character-based book and tool parents can use to start the conversation of money with their children. On the back of the book are questions that parents can use to review the lessons in the book. 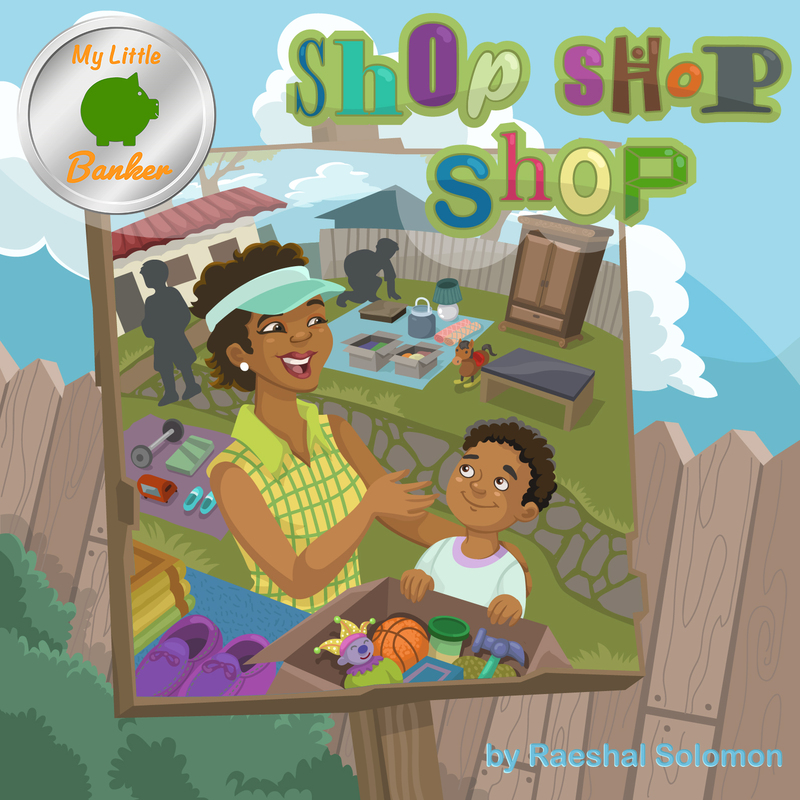 My little banker is the blog/website teaching and encouraging financial responsibility and literacy through the author and Raeshal Solomon's books. In the past three years, Raeshal has expanded her business and knowledge. She has spoken on stages and created a blog site where she and guest bloggers write a weekly post about family and finance. Raeshal is no longer just an author she is also a speaker. She visits elementary schools where she read her books and answer questions about money and the writing process. Raeshal also speaks to parents on topics like “How to teach your child about money,” and “How to move forward from your past to create a financial legacy?” She is quoted in the press and interviewed on several podcast and online platforms.